The underworld of Corsham has for decades remained secret to all but the chosen few; the reasons for this have changed through history as the facility has developed to new and highly classified uses. The vast labyrinth of interconnecting quarries and tunnels began life in the 1840s, and grew as the demand for the fine Bath Stone expanded. The outbreak of the Second World War ushered in a new phase of development as quarrying activity ceased and the military potential of the resource was realised. Industrial production continued with aircraft manufacture, and the vast facility also provided storage space for the huge quantity of ammunition required throughout and after the war. The global conflicts of the Second World War did not finish in 1945, but evolved into a new phase with the Cold War. The later use of the aircraft factory as the Central Government War Headquarters is symbolic of the mutual distrust between east and west. The Cold War brought the world to the brink of nuclear destruction, had the high-stake political manoeuvring failed it was to Corsham that the country’s elite would have retreated. Here, was the last redoubt, the ultra secret bunker where the survival and restoration phases of nuclear war would have been conducted had Whitehall been destroyed. Every day hundreds of people would pass above the most secret British installation of the Cold War. It was only 4 years ago, that the existence of this complex, variously codenamed Burlington, Stockwell, Turnstile or 3-Site, was declassified. Constructed 100 feet below-ground and surrounded by deep reinforced concrete walls this 34-acre complex had the capacity to house the Prime Minister, a nucleus of high officials and 4,000 staff. To gain a holistic understanding of the Corsham complex a Characterisation Study was commissioned by English Heritage and undertaken by Oxford Archaeology (a digital copy is accessible below). The objective was to gain a holistic understanding of the development of the site and the relationship between the different areas and entities through the course of its development. A Values Study is now underway which aims to place the complex within the wider context. 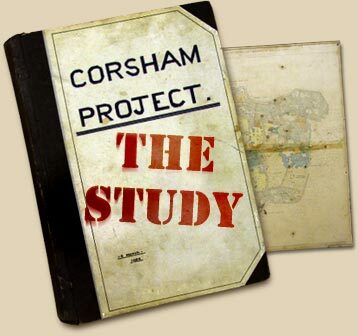 It will communicate the findings of the research and assimilate the memories, myths and legends of those who have had a relationship with the Corsham complex. If you would like to share your experiences of the site please contact Jane Phimester at Oxford Archaeology South on j.phimester@oxfordarch.co.uk or 01865 980731. Alternatively, you can complete and email the attached questionnaire (as pdf) or a word doc to Jane Phimester. To comply with Health and Safety and Insurance Policies, public access to the Tunnels is not allowed.